Auralux is a study of sorts. It is an experiment, like Eufloria before it, in the most basic mechanics that define a real-time strategy game; it attempts to boil the genre down and show us how it works. There are no tech trees here, and there is certainly no grand historical context for a setting. There are no control groups, and you will not need to memorize scores of hotkeys. Auralux simplifies in the extreme: one unit, one command, plain primary colors against black. The one unit at your command is a simple dot, and the one command they accept is a move command with the cursor. These are produced at capturable, sun-like spheres (your production "buildings") laid out in geometric patterns to comprise a game map. Red, green, and the player's own blue each begin with one sphere on every map. When a dot encounters a dot of another color, they annihilate each other, and if many are tasked on an enemy or untaken sphere, they enter it to capture it. With more spheres, more dots are produced. Capturing all of the spheres on map means victory, and there are 24 maps of varying sizes and difficulties waiting to challenge the player. The complications are few and far between: Sometimes spheres can be upgraded to produce more dots, and the player has the option of playing in a high-speed mode. There also seems to be a population cap on the larger maps; I found this slightly disappointing because it is an extraneous rule in a highly simplified system. It is likely a necessary feature, though, to ensure smooth functioning on a variety of systems. It's easy to see how this setup relates to more standard RTSs. Micromanagement has been (mostly) eliminated, so all decisions are of the strategic, macromanagement variety. At any given moment, you have only the decision of where to commit your units. They can stay to defend or move to attack an enemy, or they can be invested in an unoccupied or upgradable sphere. The former actions comprise the combat aspect of RTSs, the latter is a simplified economy. The game becomes interesting because this reductive version of the RTS formula still leads to familiar, if smaller, versions of common RTS tactics, strategies, and battles. It calls attention to the types of balance that make such games successful, and it allows us to see how they function in great detail. For example, difficulty in Auralux is controlled largely by the starting positions of the three colors. In developing a successful tactic for a given map, the player must develop a way to balance the organization of the map before the other colors gain too strong a foothold. It quickly teaches the player the different ways that positioning can affect game balance. 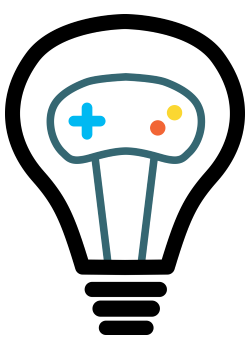 As much as this minimalist approach amplifies the strengths and subtleties of RTS games, it also, perhaps to Auralux's detriment, highlights weaknesses. People have always railed against strategy game AIs, and nowhere is AI weakness more apparent than here. In a way, perhaps by accident, this is an interesting commentary on the weakness of RTS games compared to other genres. Unfortunately, however, Auralux fails to adequately explore the impacts of AI opponents because it has only one type, and that type is not sophisticated enough. An AI that fails to implement or defend against flanking moves is hardly an AI worth discussing; an attack away from the front lines always catches the AI off-guard here. This severely undermines the emergent complexity of the game, and reduces the game's power to illuminate strategic mechanics. It means that difficulty and complexity of planning are functions only of uneven starting positions and army sizes - important aspects, but rather uninteresting. I would have loved to see some way of tweaking the AIs or even the ability to pit different AIs against each other. Auralux has another major omission with regards to opponents. The game is single-player only, despite the importance of multiplayer to games of this ilk. I'm sure this was a practical decision, arising out of the constraints of making a low-budget, one-developer game, but it nonetheless remains a glaring omission. Without it, the game is small, short, and limited in its ability to explore the genre. We can only wonder about the possibilities it could have offered. 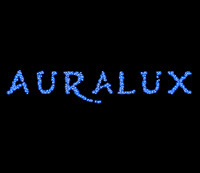 In a way, Auralux thus becomes a puzzle game. With such constancy in the opponents and their flaws, the player must sleuth out the correct set of moves that the AI can't deal with without destroying each other. Perhaps any sufficiently simplified game system becomes something that we would identify with a puzzle game. So where does this all leave us with Auralux? There is no doubt that it is a polished game with a very interesting take on familiar mechanics. And I'd be remiss if I failed to mention it's lovely sound design, with spheres pulsing with the music as a battle creates a randomized melody, all emphasizing the rhythm of the gameplay. As a whole, Auralux is enough of an exploration of the genre to leave me interested in further experimentation, but the game's inability to delve deeper because of its lone, primitive AI and lack of multiplayer means that it is inherently flawed. In a game that searches for how complex strategy emerges from simple gameplay rules, an inability to provide an opponent with which to create that complexity is an unforgivable limitation, even given the game's considerable strengths. Update: See the comments section of this post for a response from the developer of Auralux.